Stephen Fitzpatrick, who served as Eamon Gilmore’s assistant, has resigned from his position on Dun Laoghaire Rathdown County Council to move to New Zealand. 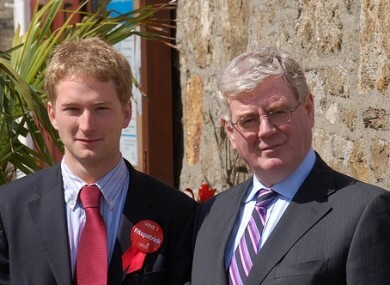 A LABOUR PARTY councillor, who was employed as Eamon Gilmore’s assistant, has resigned as a member of Dun Laoghaire Rathdown County Council and is moving to New Zealand. Stephen Fitzpatrick was the second-youngest Labour councillor elected in the Local Elections of 2009 and served as Leas Chathaoirleach of the council from June 2012 until last month. Having given up his work with the Tánaiste to carry out the Leas Chathaoirleach’s role, Stephen went back to being a councillor last month, knowing that he would be looking for work. “I worked with the Tanáiste for three and a half years before I became Leas Cathaoirleach, which is a full-time job. I knew that when I came out of that role that I would have to go back to work. My background is in HR so I knew that it would be tough to find a job that would be compatible with being a councillor,” said Fitzpatrick. Fitzpatrick will head down under on a one-year working holiday in August and says that he had already decided that he would not contest the 2014 Local Elections. Fitzpatrick outlined some of the difficulties that he faced as a councillor, saying that other younger councillors are finding the position difficult. “There other councillors, particularly younger ones, who are finding the position tough. Some people will say that it is a part time job, but it is more than that. The meetings start at 5pm and might not end until after eight. Working a full-time job on top of that is hard, particularly if you don’t have a flexible job. Speaking of his personal situation, Fitzpatrick says that in his field there is more prospects abroad, but that the current Labour slump in national opinion polls had nothing to do with his decision. There are jobs here in Ireland, but my thinking is that there are better opportunities abroad for me to gain experience. Email “'There are better opportunities abroad' - young Labour councillor emigrates”. Feedback on “'There are better opportunities abroad' - young Labour councillor emigrates”.